This is the original periodic table wallpaper that we first posted over at About.com Chemistry, lovingly kept updated here as new elements are discovered. 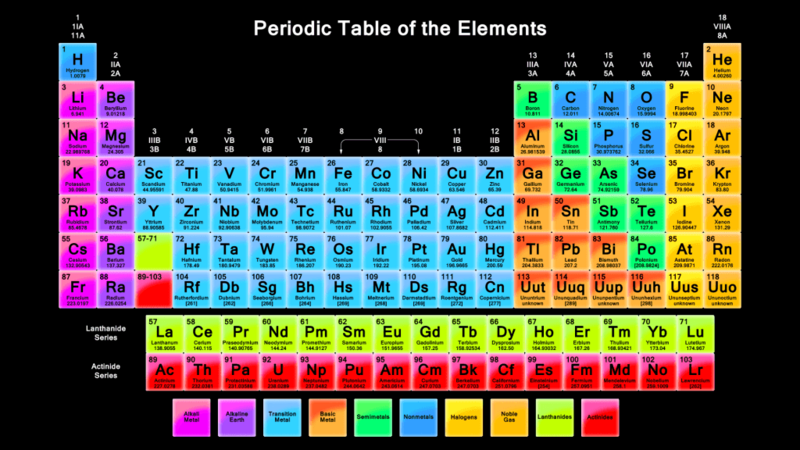 This free periodic table wallpaper is available in a variety of sizes, with a black or white (transparent) background. The table includes element groups, names, symbols, element numbers, and atomic weights. 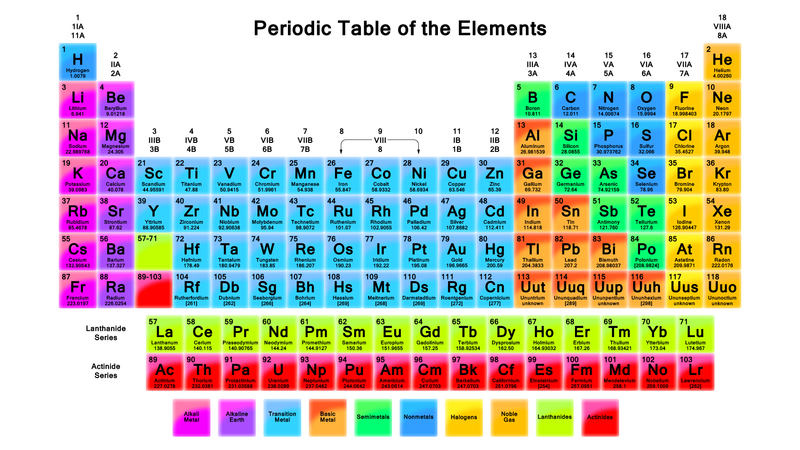 You can print this or any of the periodic tables for studying and working chemistry problems or you can save them as wallpapers for you computer, tablet, phone, etc. Please let us know if you’d like to see additional color schemes, element fact, or background colors. Note that these are the original tables, created back in 2011. The atomic weights have not changed appreciably since the table was created, but elements 114 (flerovium) and 116 (livermorium) have been added to the periodic table. If you need these newer elements, we do have the updated version of this wallpaper for you, attached below for your convenience. We recommend you use these, as they are improved in several respects. Enjoy! Personally, this is my favorite periodic table wallpaper. This color scheme just really pops. This newer periodic table wallpaper also comes with a black background, which looks stunning on monitors, phones, and tablets. This table also resizes to accommodate any screen. If you zoom in on the table, you can see how sharp and clear it is. Oh, and as an added bonus, it is a smaller file size! this 68 year old thinks it would be cool as real wall paper, but then I have a periodic table in my bed room and a map of the counties of my state on the wall.